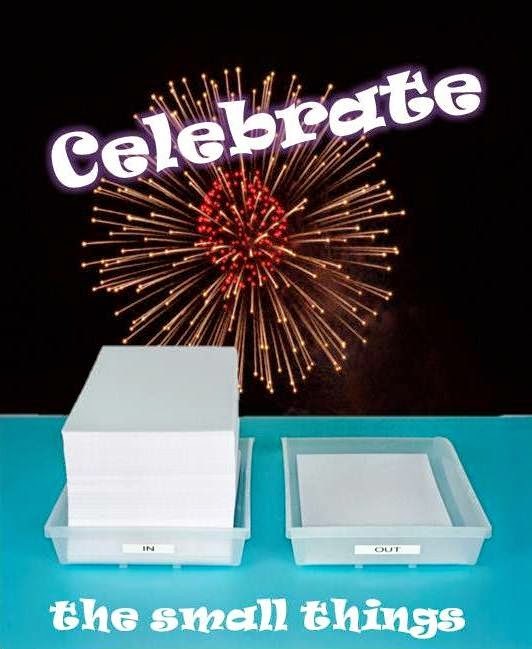 What's on the celebration list today? Where's Shady? Movin' and groovin', getting his new digs in order...always celebrate friends! Scheduling, schmeduling: I've been working on a schedule of classes for my group for next year. It can be tough to nail down, but I see the light at the end of the tunnel! I'm thrilled. You can't imagine what a task that can be. Mother Nature, I thank you for easing up on human kind in my neck o' the woods. Every single sunbeam was appreciated by me and vitamin D.
Finished a book and review, got it posted. Checked off the list. I like that feeling. Many of you might read more that I do, but a good deal of my time is taken up reading for students; it makes me so grateful for free reading time. Join us in the celebration and tell us how your week went! I'm glad that you're back to looking for Shady. I missed the Shady cartoons. It's hard to read when you have to read certain things instead of just reading what you want. I'm glad Hubzam will come home. I haven't seen much of the Wooters man. He has been very sick. He thinks he feels better. Better will probably come to an end on Saturday. Wooters is sick? We need a WHERE'S WOOTERS cartoon. 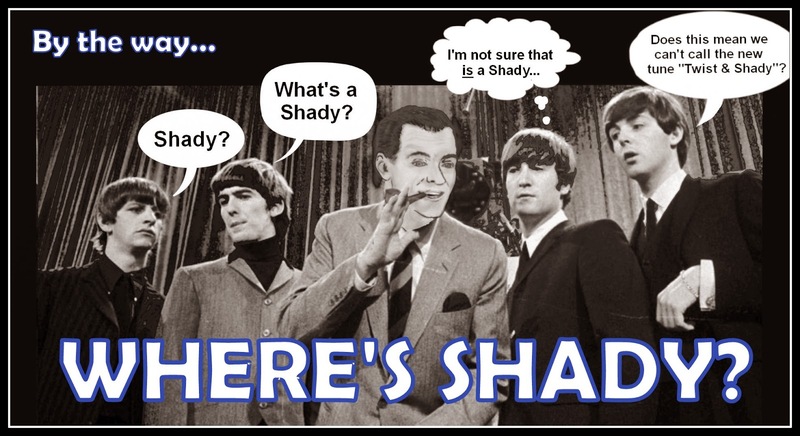 The funniest part is that we know where Shady is, ha ha. Hope WDW gets better and soon! I know where Wooters is. He goes to work, and then he goes to his apartment. He coughs a lot. Scheduling anything is a pain for me. You and that sweet "crush" have a great vitamin A filled weekend!! Scheduling is crucial for me, but sometimes it is hard to nail down all those moving parts. Have a massively celebratory weekend! I'm going to try, J! Have a great celebratory weekend! My sister's obsessed with spreadsheets and planning her life to the nth degree (she's u to 2020!) - me, the idea of schedules, especially when it means scheduling other's, is horrifying. So KUDOS! It is a necessary evil, eh? Thanks for stopping by! The "C" in OCD stands for Cherdo. Cherdo, I'm a scheduler as well...like to have a plan in place, so would be glad to be finished. And hubby coming home? Lots of hugs and snuggles for Cherdo! Have a good weekend. Scheduling gives life a framework - gotta do it. Have a great weekend, Linda! Happy scheduling, reading, reviewing and spring celebrations! Thank you, Tyrean! It was a bit soggy last night, but I'm hoping for some sun to peek through. Hope you are out and about - enjoy! PS: I run a homeschool cooperative! We have that in common. Have a great weekend with your husband home. Hope you both get to enjoy some sunshine. Vitamin D is very important. Ha ha ha...I feel like I spent winter in a cave! At least your city is ready for it! my husband is coming home from a business trip as well, cool! Yay for sunshine, blessings! Awesome, Claudia! Have a good weekend. I find it endearing that you still have a crush on your husband. Have a terrific weekend. I was out playing golf last week. It was snowing a little today. Can you play with snow balls? Commit to the game, Mike! Have a mostly wonderful weekend, CHERDO. I'll report on the specific wonderful percentile. I've started a spreadsheet. Thanks, Dogster. 10-4. I'll also be curious to know how much of it was great, fantastic, exciting, and peaceful. That's definitely a "passing" percentage.